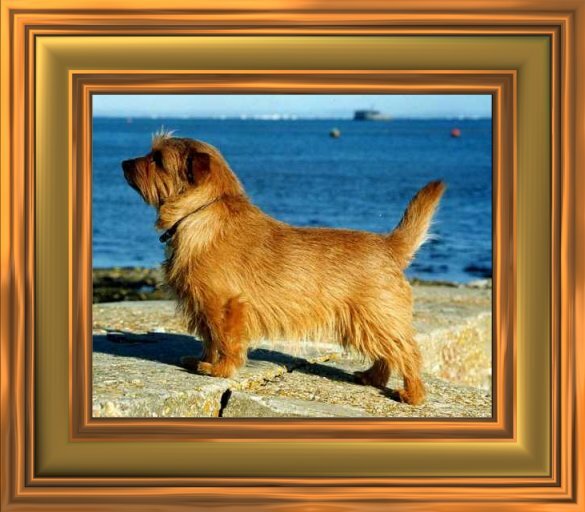 The hardy, compact Norfolk Terrier is one of the smallest breeds of working terrier. Its skull is slightly rounded and wide, allowing for a good width between the small, dropped, v-shaped ears. Small, wide-set dark oval eyes give an intelligent, sparkling expression. Its strong, wedge shaped muzzle is defined by a strong jaw with large teeth and a scissors bite. A moderately long neck blends neatly into laid back shoulders and level topline. 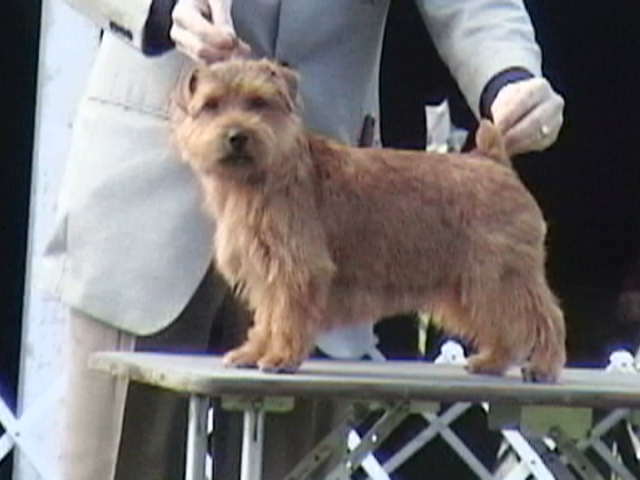 The Norfolk Terrier has well sprung ribs, and short, straight and strong forelegs. Its hind legs are strong with muscular thighs, and its medium length, docked tail is set high. The coat is wiry and straight, about two inches long and longer around the neck, shoulders, and on the legs. On the head and ears, the hair is short and smooth, with eyebrows and whiskers. 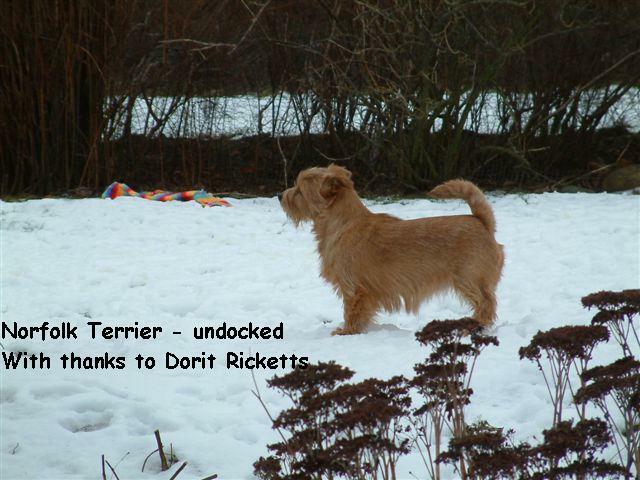 The Norfolk Terrier ranges in color from red to wheaten, to black and tan or grizzle. 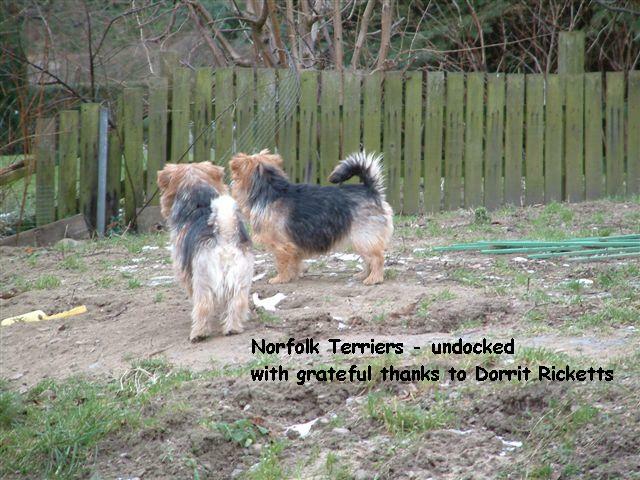 Common Misspellings Norfok Terrier, Norfoke Terrier, or Norfolk Terier. It will love everyone, including children and other pets. Rarely nervous or snappish, this energetic dog just loves to play. Socialize this dog while young, exposing it to new people, sights and sounds, or it may become suspicious and reserved. 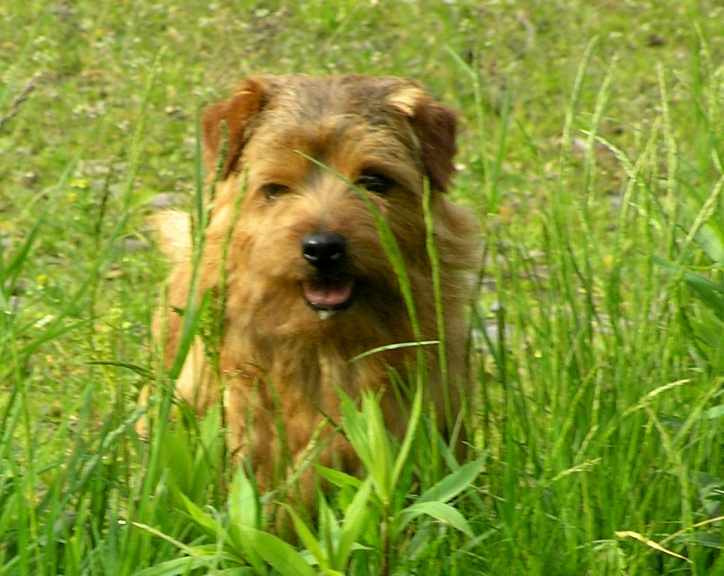 If left alone outdoors for too long, the Norfolk Terrier may begin to dig or bark; it needs lots of stimulation to occupy its quick and active mind. This breed should have consistent rules, but is otherwise fairly easy to train. Early training will prevent latter battles with this sometimes willful terrier. This breed may be difficult to housebreak. 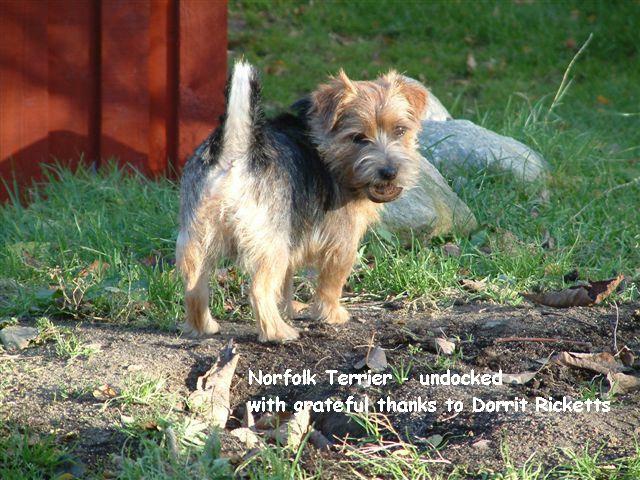 Do not let your Norfolk Terrier run without a leash unless it is in a well fenced area. It will be fine without a yard if it is exercised sufficiently. The Norfolk thrives on activity, and if under-exercised it may bark or digin your furniture if necessary. Brush its waterproof coat daily and bathe only when necessary. 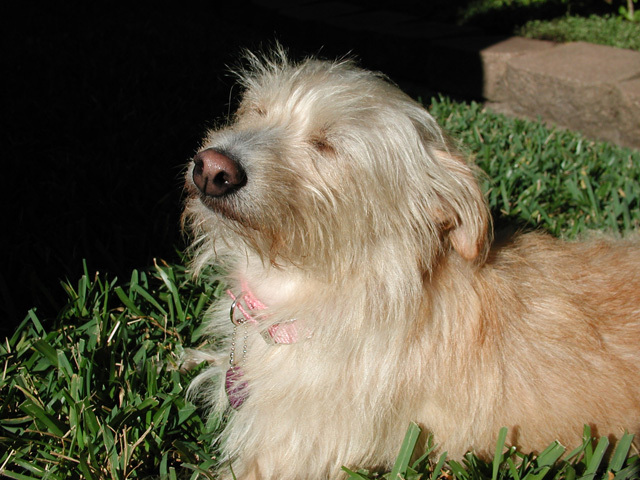 Though fairly at home in most climates, the Norfolk Terrier should nevertheless sleep indoors. This breed may overeat if food is simply left out for it, so a feeding routine is a good idea. Regular veterinary check ups are important, as the Norfolk Terrier is vulnerable to canine hip dysplasia, allergies and patellar luxation. The ability of these dogs to dig and maneuver in small burrows made them useful for bolting foxes and killings rats. 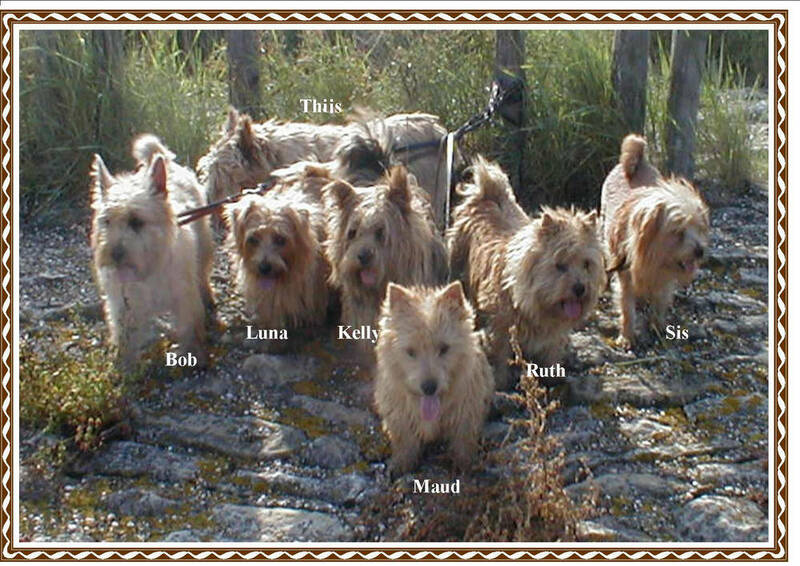 The English Kennel Club recognized the Norwich Terrier as a breed in 1932. Brought to the United States by traveling sportsmen, who often called it the Jones Terrier, the Norwich was recognized by the American Kennel Club in 1936. 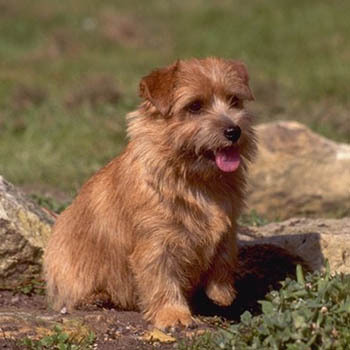 The Norfolk Terrier was originally considered a variety of the Norwich Terrier: whether ears should be pricked or dropped was heavily debated. After World War II, there was little interbreeding between the two varieties, allowing each to develop differently. Eventually the dropped ear became a hallmark of a different breed, the Norfolk Terrier, while the pricked ear identified the Norwich. The distinction was made in 1964 by the English Kennel Club and in 1979 by the American Kennel Club. Since separation each breed has developed further, creating a distinct difference, though the ears are still the most readily identifiable difference between the two. 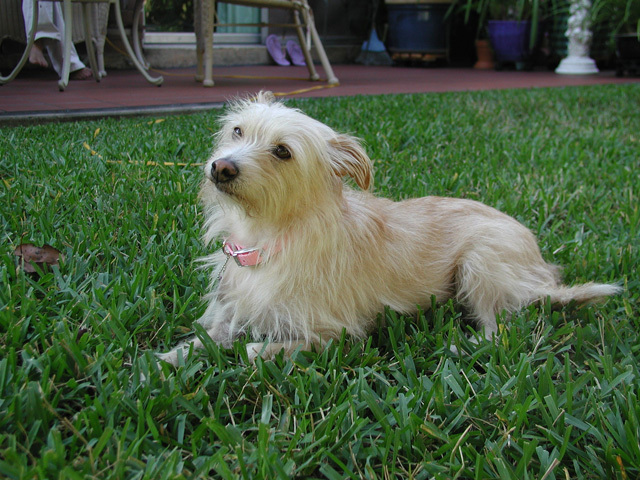 The Norfolk Terriers congenial personality makes it an excellent family pet.